We have 10 Garden View Rooms with a view to our lovely garden. These rooms are located in the first floor and have a private terrace where you can enjoy reading a book or just relax. Our 20 rooms have been specially designed to provide the utmost comfort to guests. 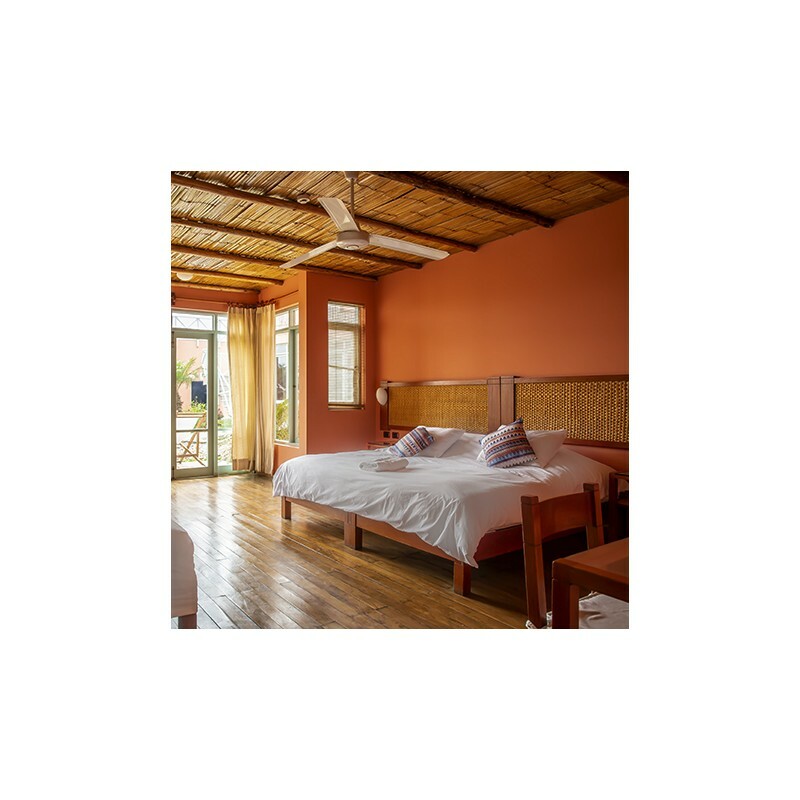 Rooms are very spacious with an area of 120 square feet, well ventilated and naturally freshen; all of them have a ceiling fan, no need for A/C´s. 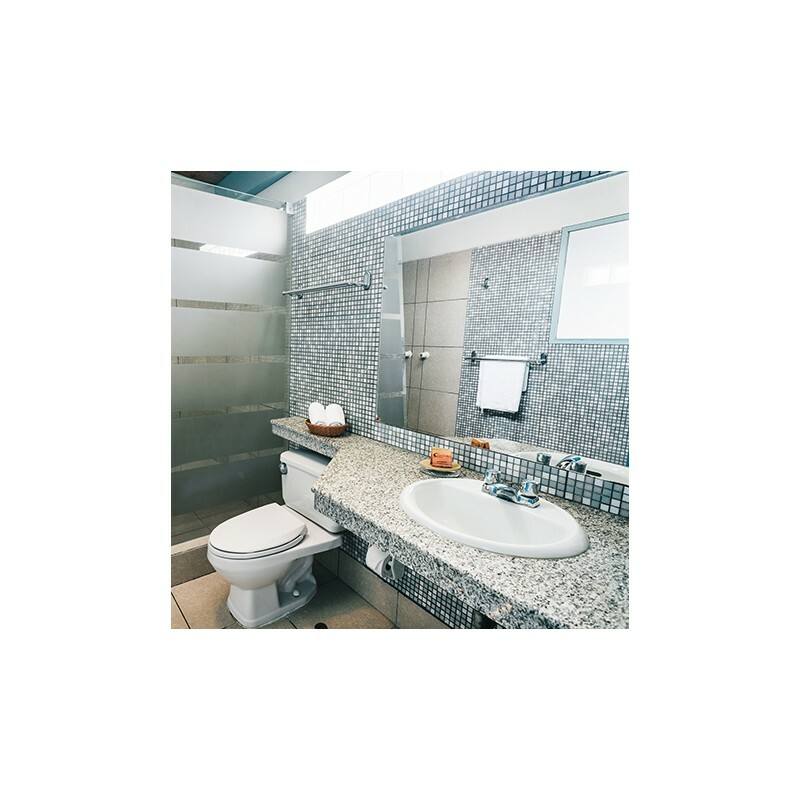 They all have a private bathroom and either King or Twin beds depending on the type of room. Ocean View Rooms have a private balcony and Garden View Rooms a private terrace where guests can enjoy Chicama´s beautiful sunsets. 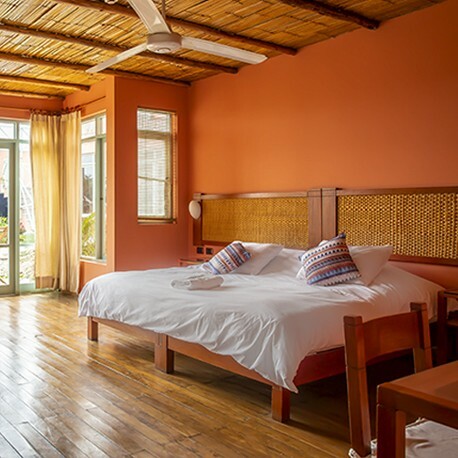 Rooms do not have TV´s for a special reason, we want you to disconnect from your traditional daily life, get outdoors and enjoy Chicama´s scenery, the hotel services or a nice conversation with your family, friends or partner.